Background: Lean practices are critical to eliminate waste and enhance the quality of healthcare services through different improvement approaches of total quality management (TQM). In particular, the soft side of TQM is used to develop the innovation skills of employees that are essential for the continuous improvement strategies of hospitals. Aim: The main objective was to study the relationship between lean practices, soft TQM and innovation skills in Lebanese hospitals. Methods: A quantitative methodology was applied by surveying 352 employees from private and public hospitals in Lebanon. The primary collected data were valid and reliable when analysed by SPSS and AMOS software as a part of structural equation modelling. Results: Lean practices significantly influenced the innovation skills; however, soft TQM did not mediate this relationship because it was not well implemented, especially at the level of people-based management and continuous improvement. Conclusion: This study has implications for healthcare practitioners to make greater efforts to implement lean practices and soft TQM. Future studies are suggested to highlight different challenges facing quality improvement in the Region. In response to the technological revolution in the healthcare industry and to meet the quality standards of accreditation systems, healthcare organizations have been struggling to find innovative ways to compete, decrease costs and enhance the quality of their services. Hospitals are complex organizations with many different departments and they are subject to work shifts and high employee turnover. This leads to shortage of skilled human resources and limited employee participation, especially when only a few people at the front line are engaged in the innovation process (1,2). Employees must possess the necessary skills to help with the creation of innovative methods to meet the needs of the healthcare sector (3,4). Therefore, hospitals have to focus more on enhancing the innovation skills of their employees and invest appropriately to innovate successfully through adopting and implementing different improvement strategies such as lean practices and soft total quality management (TQM). The main purpose of lean practices is to eliminate waste and ensure the most advantageous utilization of existing resources in the organization (1,5). Some of the lean practices that best fit the hospital environment are kaizen, quick changeover, poka-yoke, just in time (JIT), jidoka, andon, kanban and hoshin kanri. JIT is the technique of supplying the right quantity at the right time and correct location, while jidoka is a series of cultural and technical issues that combines machine and manpower together. Poka-yoke is a Japanese term for error proofing and kanban is related to inventory and material management. Andon or line stop is a notification method used to show that a problem is detected in the process line. Hoshin kanri is a method by which strategic goals are derived from staff inputs and it relies on policy development and benchmarking. In addition, 5S workplace discipline is a major lean practice initiative for standardization of work within an organization. It is defined as the system of rules and standards for organizing, cleaning, developing and sustaining a productive work environment (6–8). Soft TQM focuses on human resource management that is based on leadership, teamwork, training and employee involvement principles (9). However, these soft quality factors are intangible and difficult to be measured, such as top management commitment and involvement, empowerment, effective communication, teamwork and training education (10). Therefore, these soft skills can be discussed in the context of 2 major headings: people-based management and continuous improvement. For the present study, it was important to propose a theoretical framework that filled the gaps that could not be adequately covered in previous studies. This study was based on 2 theories that have attracted wide academic and managerial attention in recent years: the theory of constraints and the resource-based view theory. The former has been defined as “a thinking process that enables people to invent simple solutions to seemingly complex problems” (11). The latter emphasizes the significant role of resources, especially human, in the improvement strategies at any organization. The theoretical framework of the study is presented in Figure 1. The foremost objective of this study was to determine the mediating effect of soft TQM on the relationship between lean practices and innovation skills of employees in hospitals in Lebanon. The concept of this study was developed upon detecting a gap in the literature regarding the enhancement of innovation skills of employees in the healthcare sector. It seems to be difficult for employees integrated in an ordinary culture of standards to innovate in solving problems and reducing waste in the workplace, especially when there is lack of staff empowerment and teamwork. Therefore, the aim of this research was to determine the ability of employees to enhance their innovation skills through the implementation of lean practices as an effective means for elimination of waste, while maintaining a culture of quality through practicing soft TQM. Ten hypotheses were developed based on the proposed theoretical research framework: (1) lean practices positively and significantly affect innovation skills; (2) lean strategies positively and significantly affect innovation skills; (3) standardization positively and significantly affects innovation skills; (4) soft TQM positively and significantly affects innovation skills; (5) lean practices positively and significantly affect soft TQM; (6) lean strategies positively and significantly affect soft TQM; (7) standardization positively and significantly affects soft TQM; (8) soft TQM has a significant and positive mediating influence between lean practices and innovation skills; (9) soft TQM has a positive and significant mediating influence between lean strategies and innovation skills; and (10) soft TQM has a positive and significant mediating influence between standardization and innovation skills. This was a quantitative and cross-sectional study. The sample included 162 hospitals with contracts with the Lebanese Ministry of Public Health. The target population was hospital employees, who were estimated to number 25 571 (12). The unit of analysis used was the individual, including nursing, medical, administrative and technical staff of hospitals. The sample size was 400 (13,14). The survey was conducted using a self-administered questionnaire. The measurement items were retrieved from the literature review and the content validity was approved through pretesting. A multistage sampling technique was used. First, clusters of hospitals were chosen based on distribution by type, province and level of accreditation. Then, each hospital allowed us to survey a specific number of employees based on their own policies. Finally, 400 questionnaires were distributed randomly among the number of employees that was recommended by the administration of each hospital. The 6-point Likert rating scale was adopted (15) to measure the research variables. Thus, the respondents’ answers ranged between 1, strongly disagree to 6, strongly agree. The survey was limited to 11 private and 2 public hospitals. Most of the surveyed hospitals had a high accreditation level that was appropriate for conducting the survey and achieving the research objectives. Survey data were analysed by SPSS and AMOS software. Data were screened for missing values and outliers were checked through a simple linear regression test based on comparing the Mahalanobis output with the χ2 test (16,17). In addition, the assumptions of linearity and homoscedasticity were approved using the normal P–P and scatter plots of the standardized residuals. Assumptions of normality were also approved through transformation of items using z scores. Goodness of measure was achieved through testing the reliability and validity of the items. Data were analysed through structural equation modelling (SEM). The measurement model was assessed by checking the construct validity through testing the convergent validity using confirmatory factor analysis, and construct validity through discriminant validity, in addition to measuring the composite reliability among the set of items representing each construct. To test the research hypotheses, the bias-corrected bootstrap method was applied as it provides unbiased estimates of mediation effects and produces more accurate confidence intervals (18). The usable response rate for this study was 95% and no missing values were detected. In addition, 28 outliers among the respondents were checked and assumptions of linearity, homoscedasticity and normality were also approved. Two hundred and fifty-seven (67.6%) respondents were female and 197 (51.8%) were aged 20–30 years. For education level, 113 (29.7%) respondents had a Baccalaureate Technique or Superior Technician qualification. For work experience, 142 (37.4%) respondents had an average of 5–10 years. Moreover, 169 (44.5%) respondents had worked at the surveyed hospital for < 5 years and 225 (59.2%) respondents were nurses. Based on the descriptive statistics of research variables, the average mean values of all variables ranged between 4.36 and 5.11, indicating that employees had a high level of agreement regarding the measured items of the study: innovation skills (INS) 4.92; lean strategies (LS) 4.36; standardization (S) 4.99; people-based management (PBM) 4.93; and continuous improvement (CI) 5.11). Moreover, the results of the correlation matrix indicated that there was no multicollinearity between the latent variables of this study since all the correlations were significant at the 0.01 level and the Pearson correlation coefficients were < 0.8. For goodness of measure and based on the reliability test, all the items showed a good level of internal consistency with Cronbach’s α > 0.7 (0.748 < α < 0.909). Exploratory factor analysis confirmed the significance of the validity where Kaiser–Meyer–Olkin measure of sampling adequacy values of all three constructs were > 0.5 and Bartlett’s test of sphericity was significant with P < 0.05 (16). The first- and second-order structural models obtained by SEM analysis are presented in Figures 2 and 3, respectively. These models were obtained after deleting items with low standardized factor loadings (< 0.5) and high modification indices. Also, as suggested by Hair et al. (17), the goodness of fit indices achieved the threshold measures, including comparative fit index (≥ 0.90), goodness of fit index (≥ 0.90), adjusted goodness of fit index (≥ 0.90), root mean square error of approximation (≥ 0.08) and Tucker Lewis index (≥ 0.90). All the constructs showed an acceptable level of composite reliability with values ranging between 0.709 and 0.895 (Table 1), indicating a high level of consistency among the items of each latent construct. Finally, the hypotheses testing results showed that 6 hypotheses were accepted with significant P values at 0.001 and 0.05 levels, while 4 hypotheses were rejected with nonsignificant P values (Table 2). We showed that lean practices, including lean strategies and standardization, had a significant and positive influence on the innovation skills of the employees. These results are in line with previous studies (19,20). In contrast to the traditional perception that states that standardization limits innovation, this study proved the opposite, as also illustrated by Kovachevam (21). He found that standards promote innovation when the openness of the standardization process is considered. The application of lean practices has been criticized for its lack of human integration or limited applicability in certain environments. Critics have suggested that problems arise when organizations try to apply lean practice strategies to areas in which creativity and innovation are required (22). The main criticism is at the human level, where lean production is considered to dehumanize and exploit the work force (23). It was claimed by Hines et al. (24) that the key aspects of this criticism are the “lack of contingency and ability to cope with variability, the lack of consideration of human aspects and the narrow operational focus on the shop-floor”. Similarly, Seddon et al. (25) criticized lean practice programmes and standardization of work as demeaning and demoralizing, where workers have to do more repetitive work. Hence, healthcare organizations in Lebanon are on the right track in promoting the innovation skills of their employees as they are implementing the quality standards and lean practices such as the 5S programme. This tool helps organizations to eliminate inappropriate actions and sustain a productive work environment (7). Although lean practice principles are often associated with technical tools related to problem-solving methods, there is a soft side as well. Basically, this is the ability of leadership to build a collaborative work environment that encourages other soft skills among employees, such as communication skills and the ability to motivate and foster teamwork (3). These features are consistent with soft TQM methods that focus on training administrators, managers and supervisors to be lean practice leaders. Such improvements are achieved through implementing rapid improvement teams of employees, applying a 5S programme, standardizing work and maintaining continuous improvement. The present study showed a significant direct correlation between lean practices and soft TQM, but in particular, lean strategies had a weak correlation with the dimensions of soft TQM compared to that of standardization. Furthermore, the results of hypotheses testing indicated that in general, lean practices had a positive and significant influence on soft TQM, but in particular, this influence was achieved through standardization and not through the lean strategies. This is consistent with the culture of accreditation and assessment at hospitals that forces employees to be more concerned and restricted to the standards and discipline of work to maintain high quality of services. However, lean strategies are more dependent on employees’ voluntary actions such as being involved in teamwork activities or their speed in detecting problems in the workplace and taking decisions to resolve them. Previous studies have shown similar findings regarding the positive relationship between lean practices and soft TQM (26–28). However, lean practices are generally weaker on the human behaviour side. There is still a concept that considers lean practices as an inhibitor of improvement, especially when related to reducing costs and setting limits, which can lead organizations to be narrow-minded and hinder the creativity of their employees (28). In contrast to previous studies (7,29), we did not find a direct impact of soft TQM on innovation skills. Although TQM practices have been considered essential to develop the innovation skills of employees, they do not appear to be an effective tool for improving the necessary skills in healthcare organizations. Several studies have shown that TQM inhibits innovation in cases with poor implementation (30,31); however, others have found that TQM has a positive impact on innovation capabilities (28,32). However, criticism has been raised that effective TQM transformation is difficult because of weak change management culture that is related to the employees’ resistance to change and innovation (33). Our results indicate that soft TQM mediates the relationship between standardization and innovation skills. This is in line with previous studies (34) that have shown that standardization can drive innovation and lead to transformation, especially at the level of employees’ skills. However, soft TQM did not mediate the relationship between lean practice strategies and the innovation skills of employees. The lack of skilled employees limits hospitals from generating and sustaining competitive advantages and consequently leads to failure of the lean practice strategies. Such challenges result from limited employee participation and a shortage of skilled human resources (1,2). By developing the theoretical framework and testing the relationships among lean practices, soft TQM and innovation skills, our research has made contributions to the academic and practical fields. It has several implications for healthcare practitioners and management to take into consideration as a part of the improvement strategies at hospitals in Lebanon. In addition, it can serve as a theoretical background for further research in the field of lean practice healthcare and innovation at the hospital level. Although our research was conducted to fill in the gaps that were identified in the literature and previous empirical studies, there were still some limitations that could not be avoided, mainly at the methodological and geographical levels. Despite the wide participation of respondents to this survey, poor cooperation from most of the Lebanese hospitals was noted. Only 11 private and 2 public hospitals participated. The majority of hospitals refused to participate because of their own policies and considerations, while others were geographically unreachable because of the insecure situation in some regions. Therefore, future studies may have better opportunities to extend their sample geographically and have a mix of more private and public hospitals to achieve more reliable results. 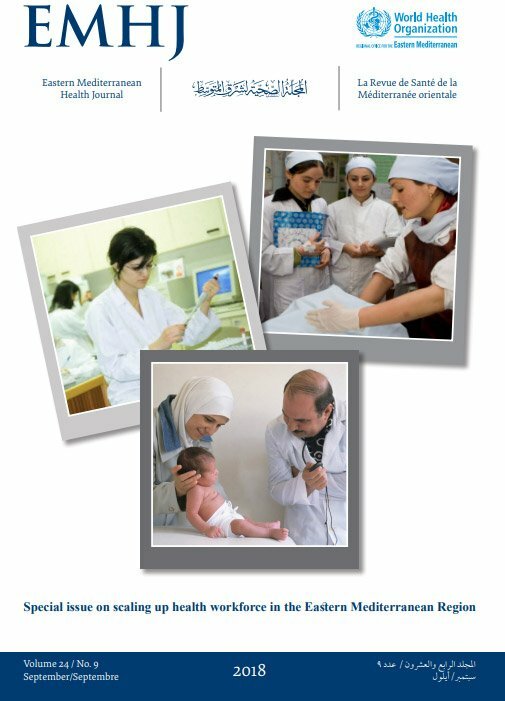 Another limitation faced while preparing this research was the lack of conceptual and empirical studies related to lean healthcare and soft TQM implementation in the Lebanese context. This was also observed empirically while conducting the survey where lean healthcare was considered as a new concept for the Lebanese healthcare sector and still not as widespread as other quality improvement tools. Therefore, efforts should be made to introduce lean healthcare principles and study their implementation in hospitals in order to use them as a database for future studies of quality and lean practices. The research methods of this study were based on a quantitative approach through conducting a survey. Therefore, future studies should extend the research and use both quantitative and qualitative methods, mainly case studies, to obtain more accurate and practical results, especially since lean healthcare, innovation and quality are wide concepts that bear in-depth discussion and interpretation. Moreover, different SEM-specific software can be used to test the research hypotheses such as partial least squares. In conclusion, this study achieved its objectives and illustrated the effect of lean practices and soft TQM on the innovation skills of employees in Lebanese hospitals. The survey among different Lebanese hospitals using a self-administered questionnaire resulted in valid and reliable data that were analysed through SEM that ensured that the results could be generalized. Testing the research hypotheses has theoretically and practically added to the previous literature. Some of our findings support previous studies in which adoption of lean practices had a significant influence on innovation skills. However, other results contrasted with previous studies in the positive relationship between soft TQM and lean practices and innovation skills. Our results showed that soft TQM is not well implemented, especially at the level of people-based management and continuous improvement. This does not support the successful application of lean practices because it is not able to enhance the innovation skills of hospital employees. The main focus should be always at the level of human resources. Whatever efforts are made by management, if the employees are not convinced by the concept of lean practices and they are not developing their own skills to be in line with the up-to-date quality and technological tools, any improvement strategy will not be successful. Policy makers and top management at Lebanese hospitals must form priorities in their development strategies, especially at the level of employees because they are the dynamic resource for the implementation and development of any strategy at the organization. It was clear from our survey that employees are interested in lean practice tools and implementing quality standards that tend to eliminate waste and reduce the rate of errors in the workplace. Still, the lack of engagement and weak empowerment of employees lessened motivation towards the innovation process, which negatively affected the innovation skills of employees. Therefore, further studies are suggested to focus more on the means and approaches that would develop the soft skills and enhance the implementation of lean healthcare within a culture of innovation and quality of services. Contexte : Le lean management est crucial pour éliminer le gaspillage et renforcer la qualité des services de soins de santé au moyen de différentes approches améliorées de gestion totale de la qualité. La gestion totale de la qualité dite souple est notamment utilisée pour développer les capacités d’innovation des employés qui sont considérées comme essentielles aux stratégies d’amélioration continue des hôpitaux. Objectif : La présente étude avait pour objectif principal d’étudier la relation entre le lean management, la gestion totale de la qualité dite souple et les capacités d’innovation dans les hôpitaux libanais. Méthodes : Une méthode quantitative a été appliquée en interrogeant 352 employés travaillant dans des hôpitaux privés et publics au Liban. Les données primaires recueillies étaient valables et fiables à l’analyse réalisée à l’aide des logiciels SPSS et AMOS dans le cadre d’une modélisation par équation structurelle. Résultats : Le lean management avait une influence considérable sur les capacités d’innovation. En revanche, la gestion totale de la qualité dite souple n’intervenait pas dans cette relation du fait d’une mauvaise mise en œuvre, notamment au niveau de la gestion du personnel et de l’amélioration continue. Conclusion : Les résultats de cette étude doivent pousser les praticiens à déployer davantage d’efforts pour mettre en œuvre le lean management et la gestion totale de la qualité dite souple. Enfin, les futures études devraient se concentrer sur les différents défis s’opposant à l’amélioration de la qualité dans la région. الخلفية: تمثل الممارسات المبسّطة عنصراً حيوياً للتخلص من النفايات وتحسين جودة خدمات الرعاية الصحية من خلال اعتماد نُهج تحسين مختلفة إزاء إدارة الجودة الكاملة. وعلى وجه التحديد، يستخدم الجانب الناعم من إدارة الجودة الكاملة في تنمية المهارات الابتكارية للموظفين الضرورية لاستراتيجيات التحسين المستمر للمستشفيات. الهدف: تمثّل الهدف الرئيسي من هذا البحث في دراسة العلاقة بين الممارسات المبسّطة، وإدارة الجودة الكاملة الناعمة ومهارات الابتكار في لبنان. طرق البحث: استُخدمت منهجية كميّة بإجراء مسح لـ 353 موظفاً يعملون في المستشفيات الخاصة والحكومية اللبنانية. وجاءت كل البيانات الأولية التي تم تجميعها صحيحة وموثوقة عندما تم تحليلها بواسطة برمجية الحزمة الإحصائية للعلوم الاجتماعية (SPSS) وبرمجية (AMOS) في إطار النمذجة بالمعادلات البنائية. النتائج: تبيّن أن الممارسات المبسّطة أثرت تأثيراً كبيراً على مهارات الابتكار؛ في حين لم تتوسط إدارة الجودة الكاملة الناعمة هذه العلاقة نظراً لعدم تنفيذها بشكل مناسب، لا سيما على مستوى الإدارة المتمحورة حول البشر والتحسين المستمر. الاستنتاج: تنطوي هذه الدراسة على اعتبارات للممارسين في مجال الرعاية الصحية من أجل بذل مزيد من الجهود لتنفيذ الممارسات المبسّطة وإدارة الجودة الكاملة الناعمة. وتقترح في النهاية إجراء دراسات لتسليط الضوء على مختلف التحديات التي تواجه تحسين الجودة في الإقليم. Jekiel C. Lean human resources: redesigning HR processes for a culture of continuous improvement. New York: Taylor and Francis Group, Productivity Press; 2011. Diab, S. Management of hospitals and healthcare centers. Amman: AL-Feker Publishers; 2009. Evershed G. Innovation from Lean Six Sigma – Soft Skills. TRIZ Journal (http://www.triz-journal.com/content/c101018a.asp, accessed 27 November 2017). Putkonen A, Kairisto L, Penttilä T. Enhancing engineering students’ innovation skills through innovation pedagogy – Experiences in Turku University of Applied Sciences. International Conference on Engineering Education, Gliwice, Poland; 2010. Seven advantages of Kanban over par for hospital material management (https://bradfordsystems.com/blog/seven-advantages-kanban-par-hospital-material-management/, accessed 27 November 2017). Ortiz C. The psychology of lean improvements: why organizations must overcome resistance and change the culture. Boca Raton: CRC Press; 2012. Aikens C. Quality inspired management: the key to sustainability. New Jersey: Pearson Education; 2011. National News Agency. [Presentation of the reality of hospitals: a database prepared by the union. Press conference by Suliman Harounon on 23 June 2013] (in Arabic) (http://www.nna-leb.gov.lb/ar/show-news/45997/, accessed 5 December 2017). Vaske J, Needham M. Survey implementation, sampling, and weighting data. In: Survey research and analysis: applications in parks, recreation, and human dimensions. 2008:173–222. Dillman D. Mail and internet surveys: the tailored design. 2nd ed. New York: John Wiley and Sons; 2000. Gwinner C. Infosurf White Paper. 5-point vs. 6-point Likert Scales. Atlanta: Infosurv; 2011 (http://www.infosurv.com/wp-content/uploads/2011/01/Likert_Scale_Debate.pdf, accessed 27 November 2017). Sekaran U, Bougie R. Research methods for business: a skill building approach. 5th ed. London: Wiley; 2011. Hair J, Black W, Rabin B, Anderson R. Multivariate data analysis: a global analysis. New Jersey: Pearson; 2010. Rousek J. The application of lean and human factors engineering techniques to improve quality in healthcare delivery. [thesis]. Lincoln: University of Nebraska; 2012. Blind K. The impact of standardization and standards on innovation. TU Berlin, Rotterdam School of Management and Fraunhofer; November, 2013 (Nesta Working Paper 13/15; https://www.nesta.org.uk/sites/default/files/the_impact_of_standardization_and_standards_on_innovation.pdf, accessed 27 November 2017). Kovachevam A. Challenges in lean implementation; successful transformation towards lean enterprise. [thesis]. University of Aarhus; 2010 (https://pdfs.semanticscholar.org/b2f1/ed95cd3b328a963d9ab3f3ebb9e688287062.pdf). Mcgrath W. Impact analysis of large-scale lean manufacturing initiatives upon manufacturing process innovation Irish companies. [thesis]. Waterford Institute of Technology; 2007 (http://repository.wit.ie/974/1/Impact_Analysis_of_Large-Scale_Lean_Manufacturing_Initiatives_upon_Manufacturing_process_innovation_in_Irish_Companies.pdf). Seddon J, O’Donovan B, Zokaei K. Rethinking lean practices. In: Macintyre M, Parry G, Angelis J, editors. Service design and delivery. New York, Springer; 2011:41–60. Hunter J. Deming and lean: the disparities and similarities. The Edwards Deming Institute Blog. http://blog.deming.org/2013/07/deming-and-lean-the-disparities-and-similarities/, accessed 27 November 2017. Anvari A, Ismail Y, Hojjati S. A study on total quality management and lean manufacturing: Through lean thinking approach. World Appl Sci J. 2011;12(9):1585–96. Raphael, P. Maximizing innovation using Total Quality Management. [thesis]. Carson: California State University, Dominguez Hills; 2010. King H. 5 ways that standardization can lead to innovation. August 3, 2011 (http://www.fastcodesign.com/1664682/5-ways-that-standardization-can-lead-to-innovation, accessed 27 November 2017).